58 gross. 62 gross from 1926. 1898 built for R. Logan Jnr. Designed for the trade to Warkworth up the Mahurangi River. 1898 sold to Coastal S.S. Company, Auckland. 1926 sold to C.T.J. Anderson, Lyttelton. 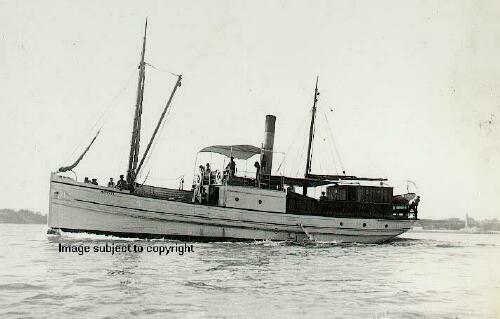 1927 sold to Kotiti Shipping Company, Lyttelton. Oil engine installed. 1929 sold to H. Soares of Karamea. 1929 sold to Oparara Shipping Company of Westport. 1931 October 10th missing with all hands on passage from Westport to Foxton.